click photo to enlarge Ouray is the county seat of Ouray county and had a population of 813 in the 200 census. 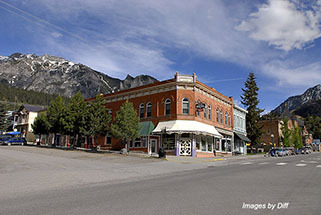 It is surrounded on three sides by 13,000 foot plus peaks. 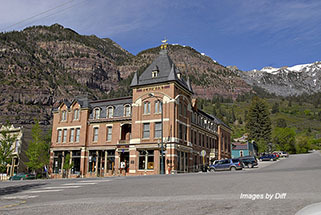 We were spending the night here in order to drive the road from Ouray to Durango called the million dollar highway. The morning brought a surprise that put a stop to that plan though. click photo to enlarge The town was very charming with a lot of old Victorian architecture. 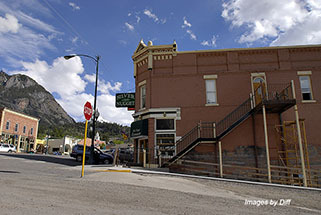 The entire town is registered as a National Historic District. 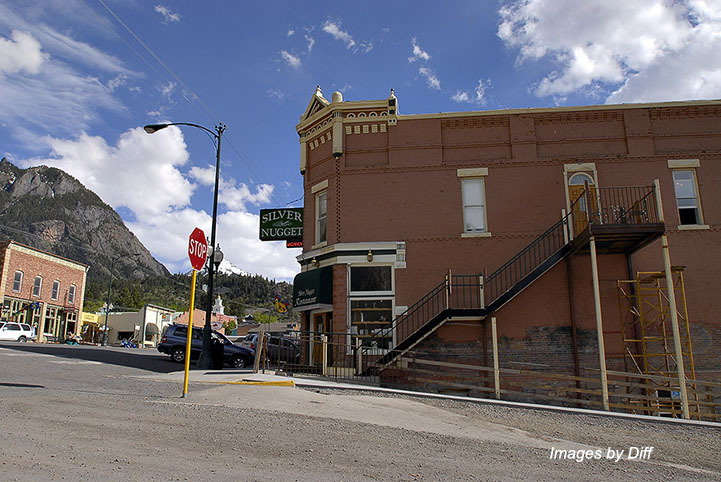 The town was founded on mining of gold and silver. We found many restaurants that sounded good and the one we picked was very good. Motel rooms were very reasonable and the one we stayed at was real nice. click photo to enlarge The next morning when we got up there was snow! 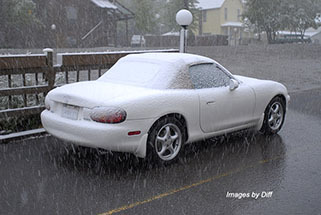 We had been enjoying very warm temperatures and then snow. 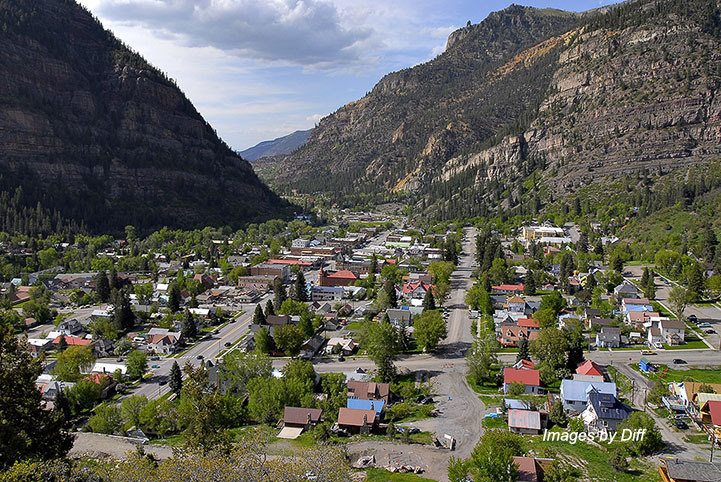 The million dollar highway is known for it's steep cliffs and lack of guardrails with many hairpin curves. We decided we would drive the million dollar highway another time and took a safer route as the Miata is not the best snow vehicle in the world. Besides it gives another reason to spend a little more time in the area.